Now sailing ALL YEAR Monday to Saturday inclusive. Sailing times are 11.00am and 2.15pm Please note: times can vary due to tidal and weather conditions. Welcome to Misty Isle Boat Trips. 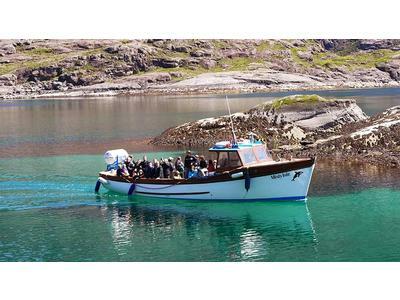 We are a family-run business and the only locally owned and run boat trip from Elgol on the Isle of Skye to the famous Loch Coruisk in the heart of the Cuillin Hills. You may have seen our skipper Seumas Mackinnon take Charles Kennedy across to Loch Coruisk on the itv program, "Britain's Favourite View" - if so, you will understand why Loch Coruisk and Elgol featured on a program with a name like that! 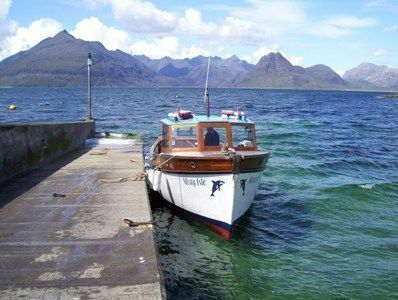 Seumas Mackinnon has had the pleasure of running passenger trips from the pier in Elgol to visit Loch Coruisk for over 40 years and is often asked if after so many hundreds of trips he ever tires of the views of the Cuillins or of visiting Coruisk. 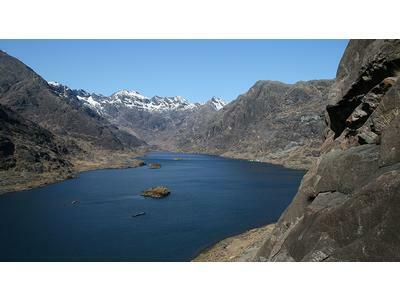 Seumas is persuaded that it is impossible to tire of such a stunning and ever-changing part of the Scottish Highlands. 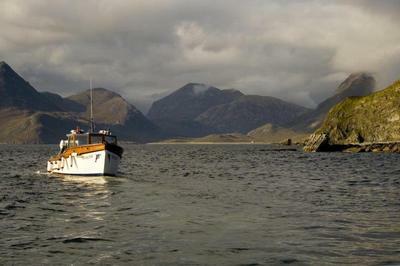 The Misty Isle sails twice daily from Elgol, Isle of Skye, all year, weather permitting. Please note: times can vary due to tidal conditions. Tickets are available from our green kiosk at Elgol Jetty. If you wish to book your trip in advance please call using the links above. 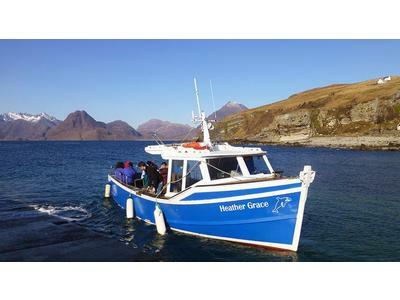 On your outward journey from Elgol you will visit a seal colony, see a rich variety of sea birds and possibly golden eagles or white tailed eagles. 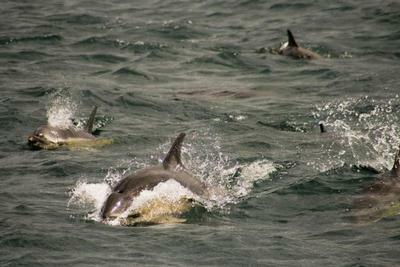 Sightings of dolphins, whales and basking sharks are also possible. 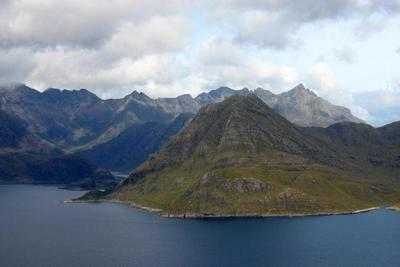 After your arrival at breathtaking Loch Coruisk you will have plenty of time ashore for the short walk to the loch or just to enjoy the beauty and tranquility that surrounds you. The perfect boat trip. 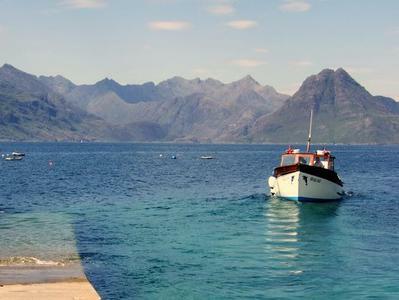 A welcome cup of tea or coffee and a piece of shortbread await for your return journey to Elgol. 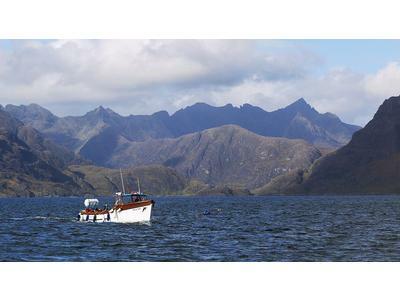 On Friday 5th of September, 2008, Misty Isle Boat Trips was featured on nhk channel 1 (the Japanese equivalent of Britain's BBC1) as part of their worldwide series of programs called 'World Eco Tours'. 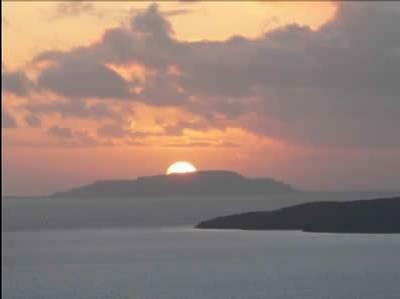 It was thrilling to be a part of what was a live broadcast to nearly 9 million people from onboard the Misty Isle. It was also lovely to have the crew acknowledge our contribution to eco-tourism over more than 40 years - in a day when so often wildlife at sea has to adapt to the impact of many high-speed vessels in their territory which burn a massive amount of fuel the nhk environmental research crew were very encouraging about our extremely small 'carbon footprint' and the positive impact they felt our trip has on the seals without disturbing their peace and their natural environment.